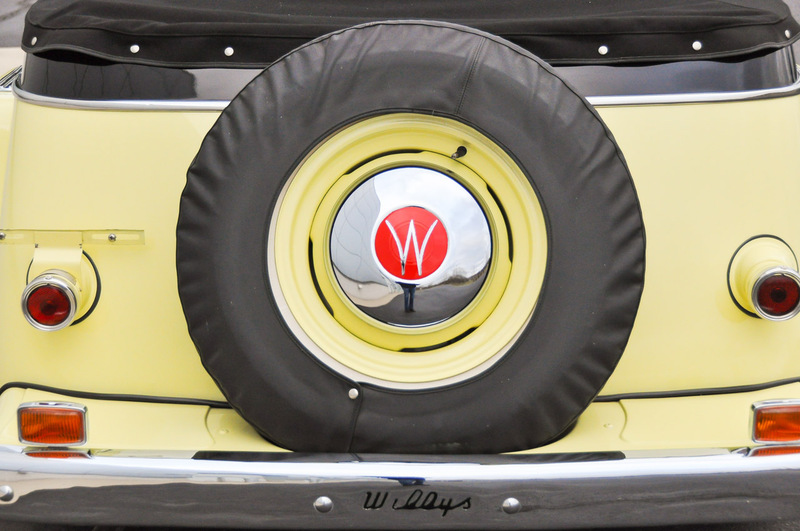 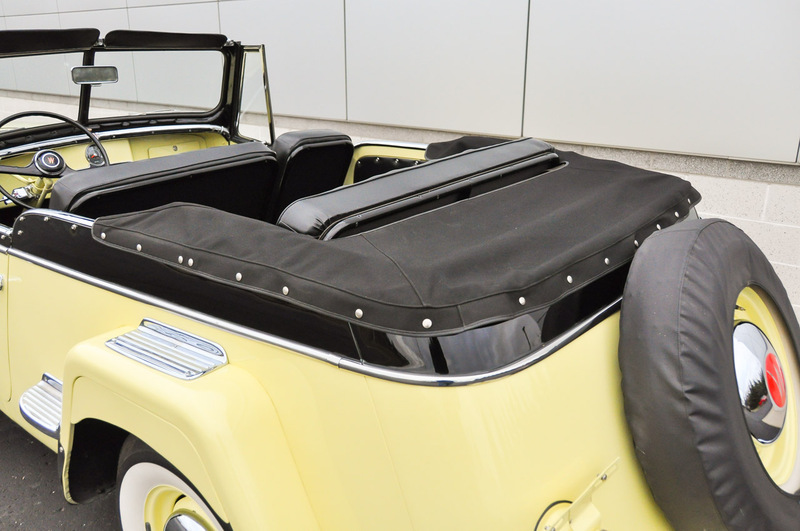 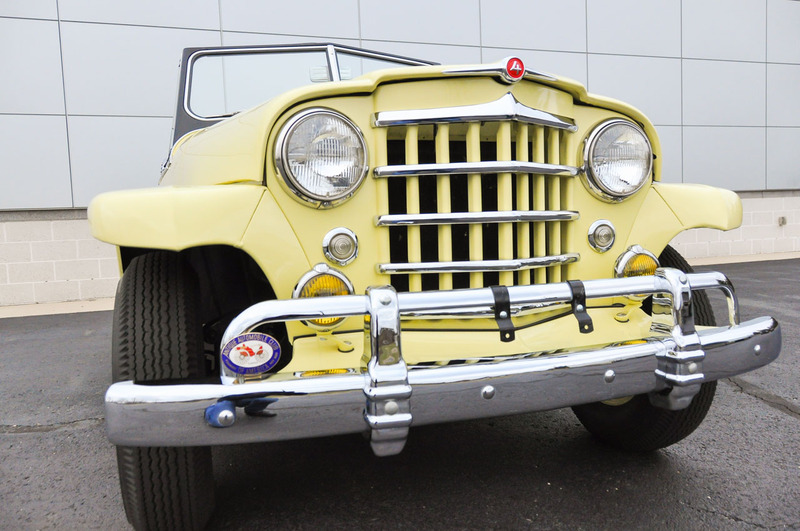 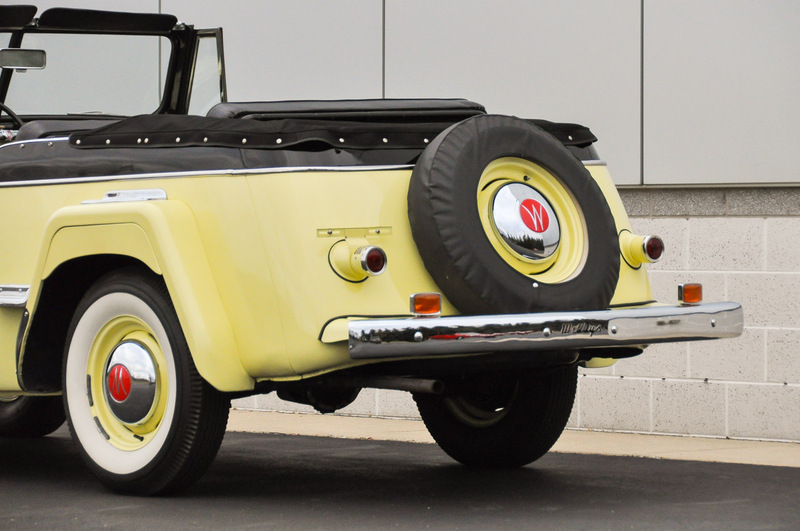 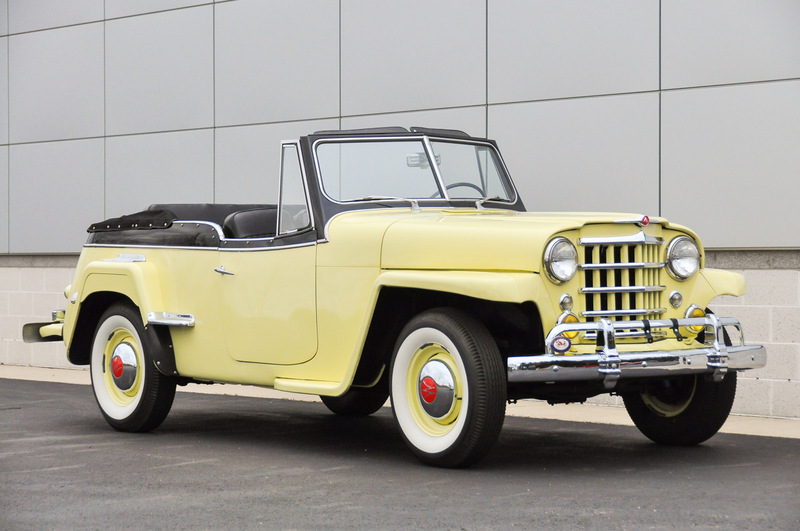 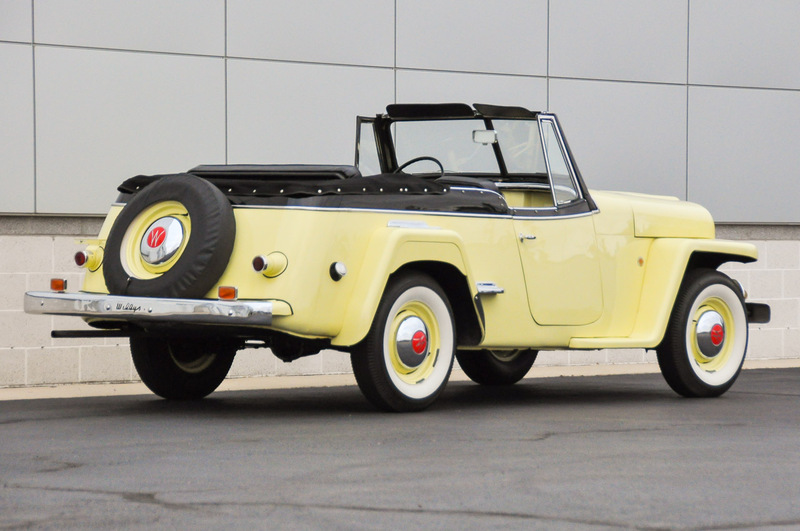 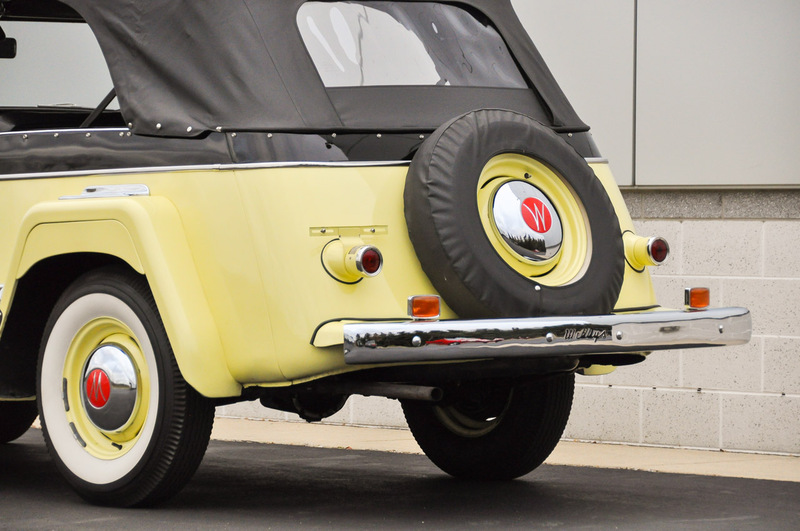 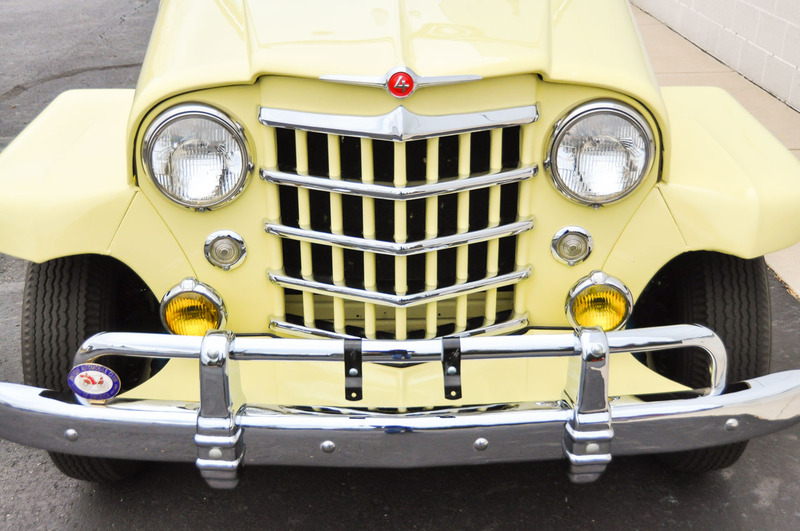 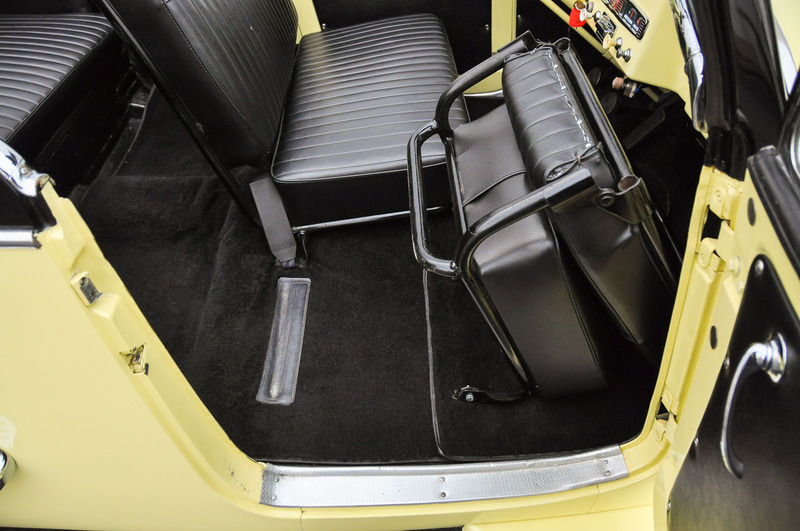 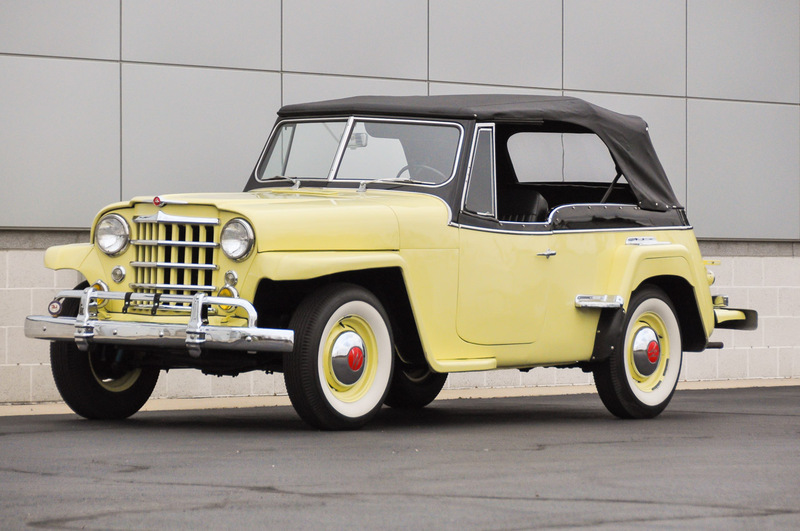 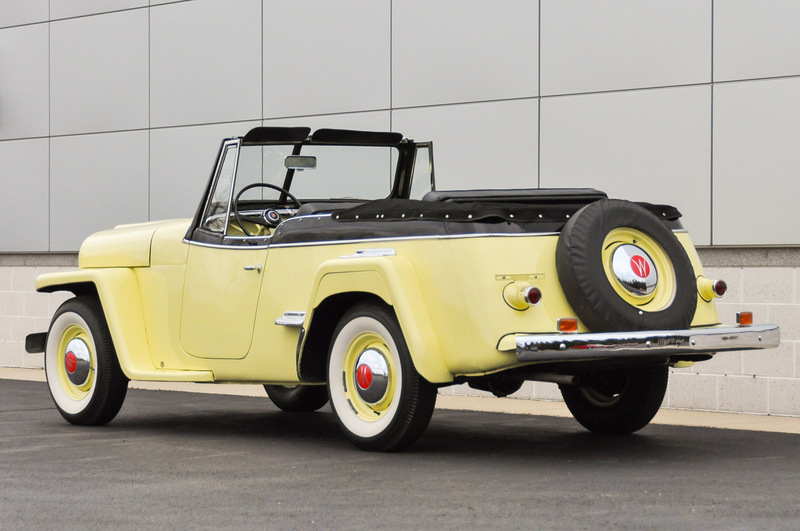 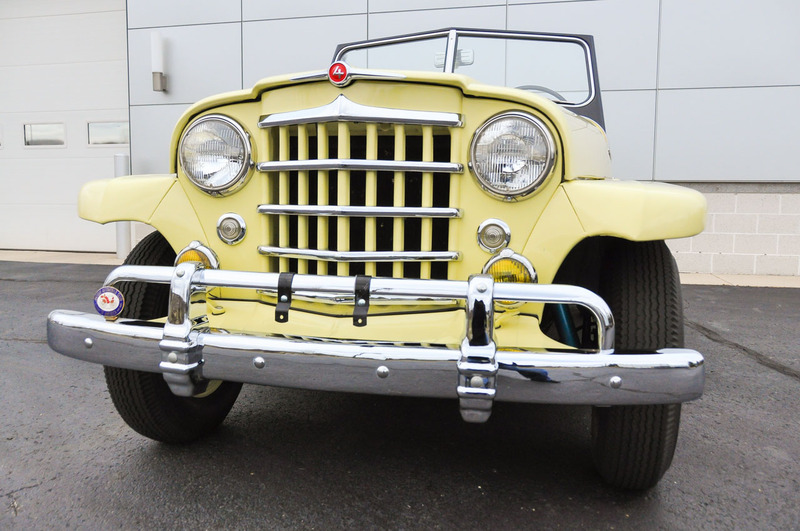 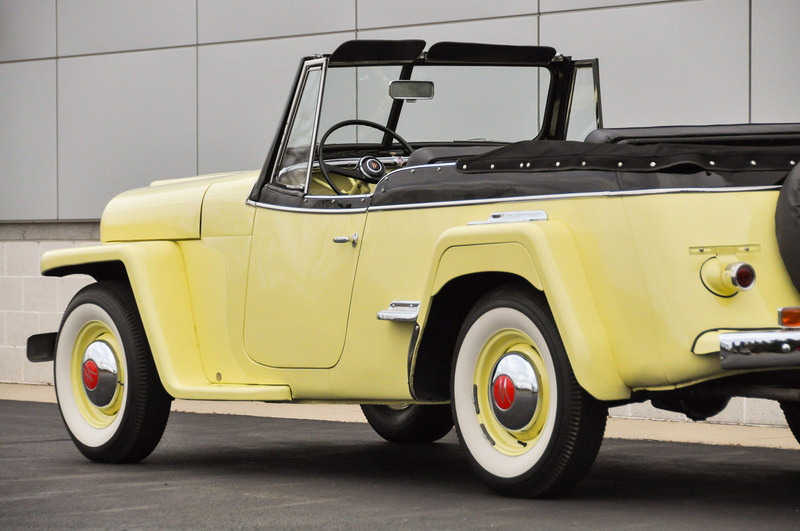 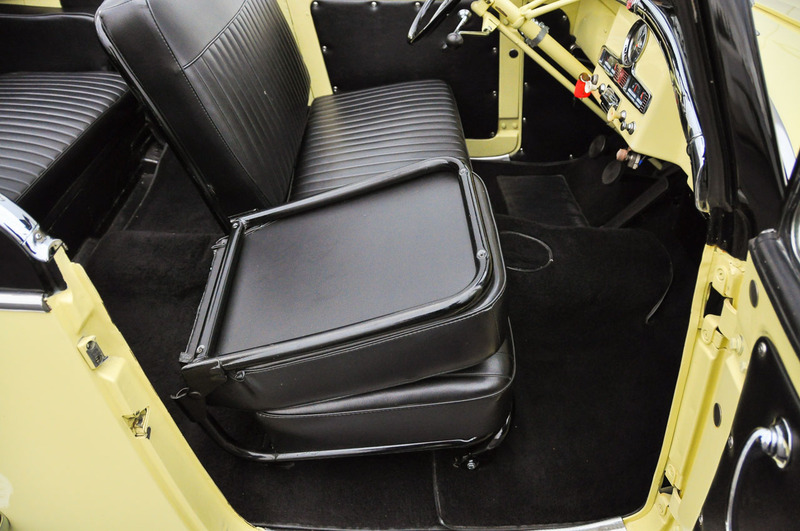 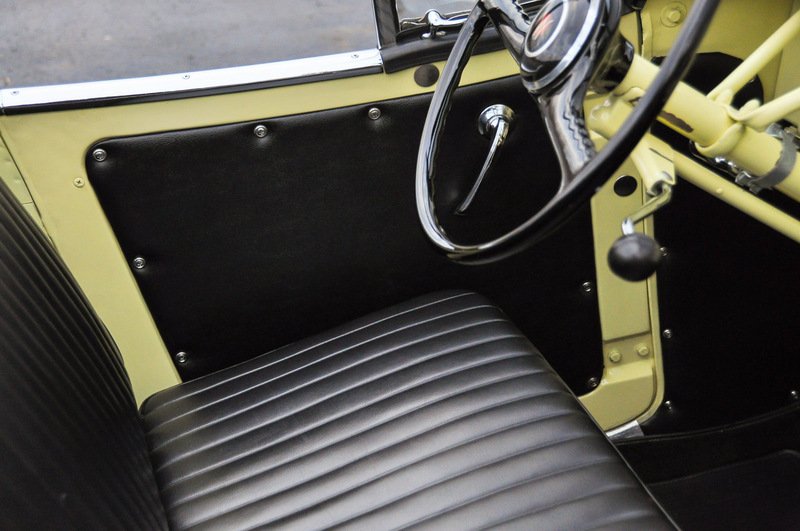 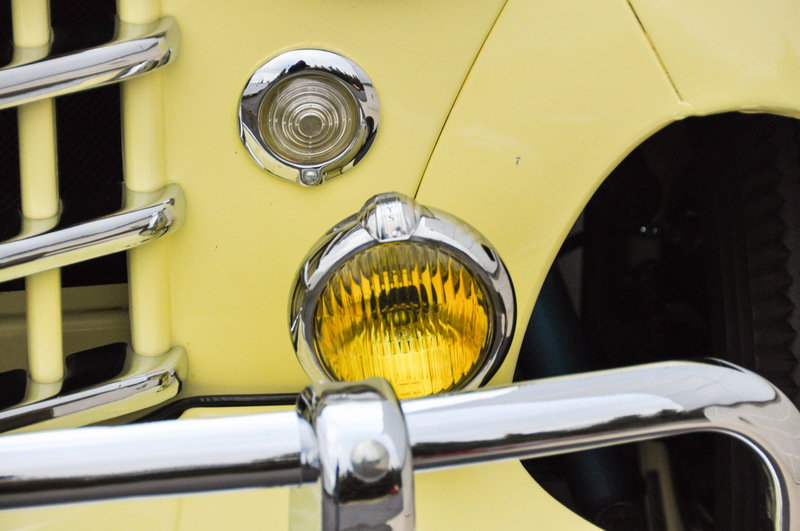 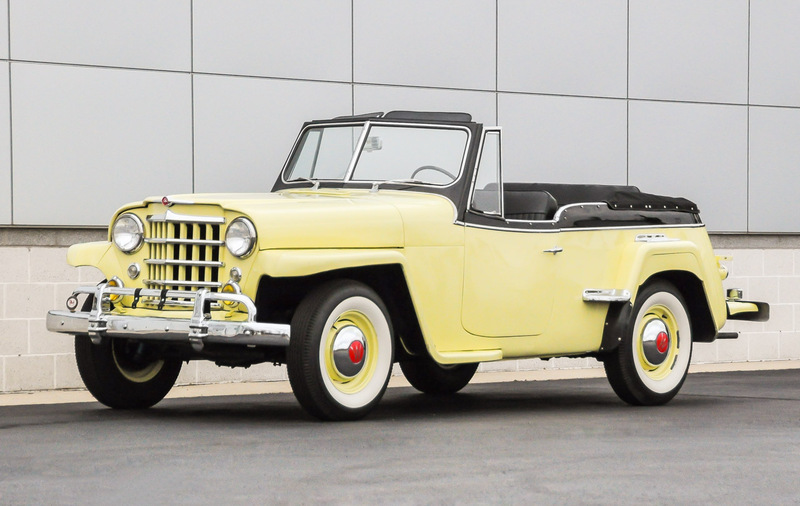 This 1950 Willys-Overland Jeepster underwent a comprehensive restoration from 1993 to 1995. 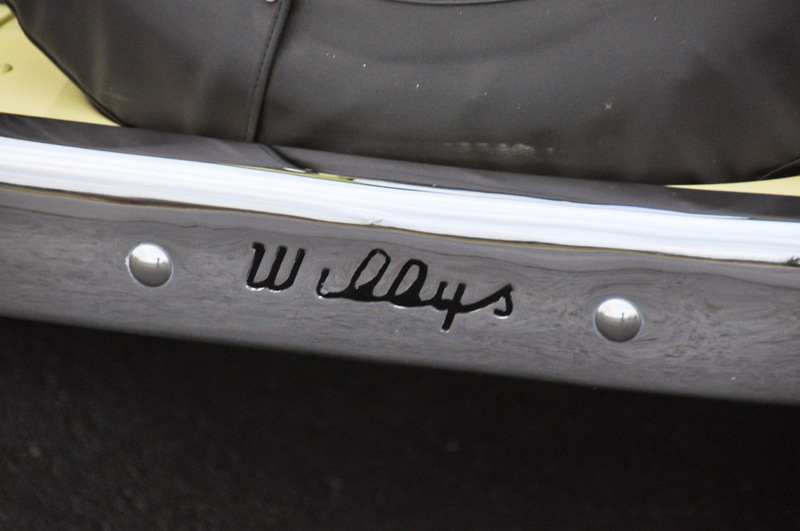 It was purchased in Salem, Virginia by the previous owner in 1993 after storage for many years. 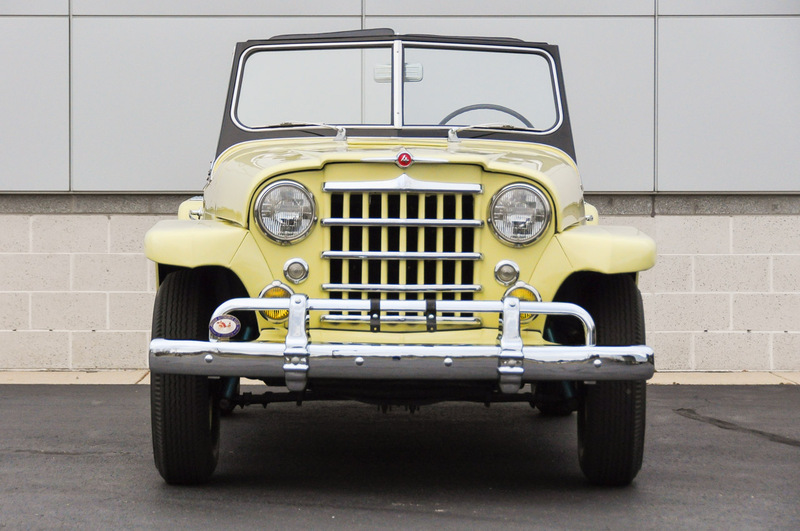 The Jeepster was tired but complete and carried limited rust. 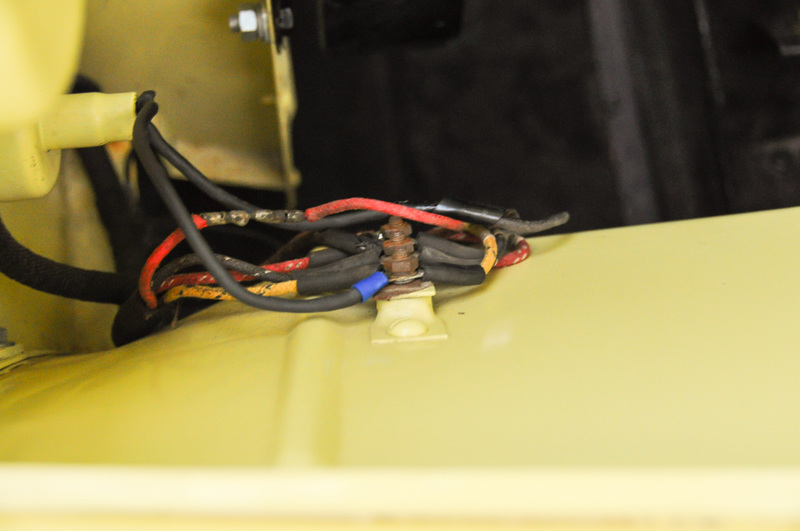 It drove out of the barn under its own power. 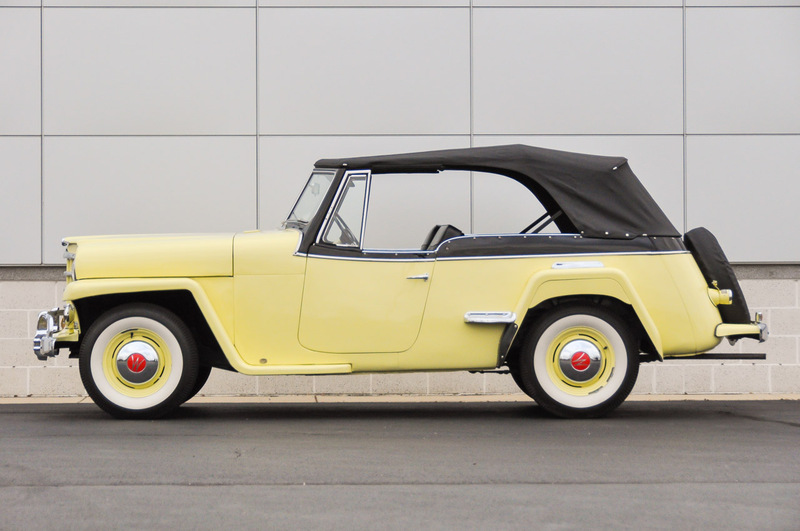 The previous owner then completely disassembled the Jeepster. 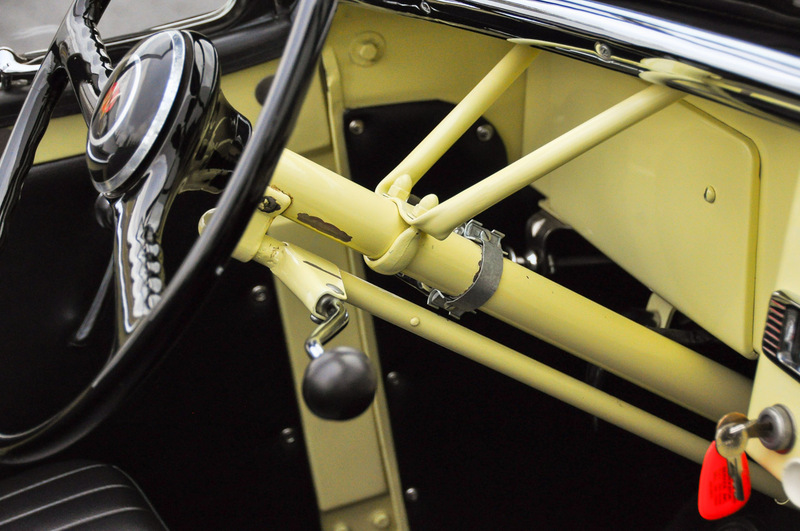 All parts were painted, restored, or refurbished. 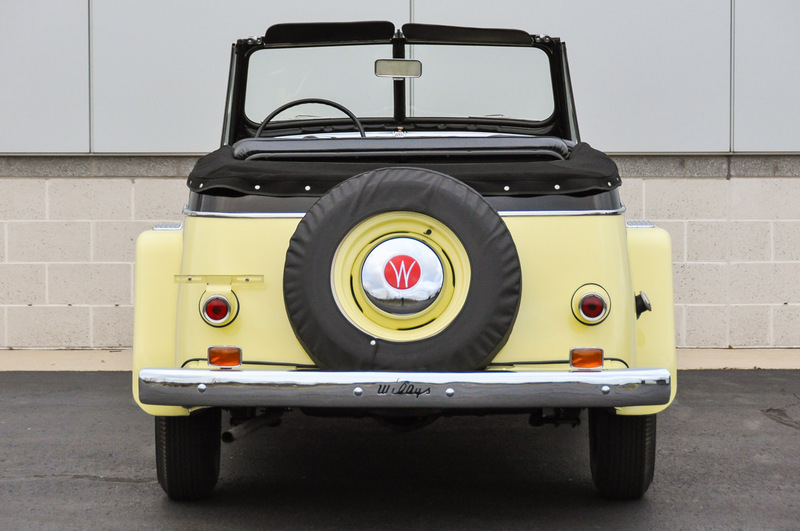 The frame was sand blasted and painted with DuPont two-stage, rust-inhibiting primer and then finished with DuPont Centari acrylic enamel. 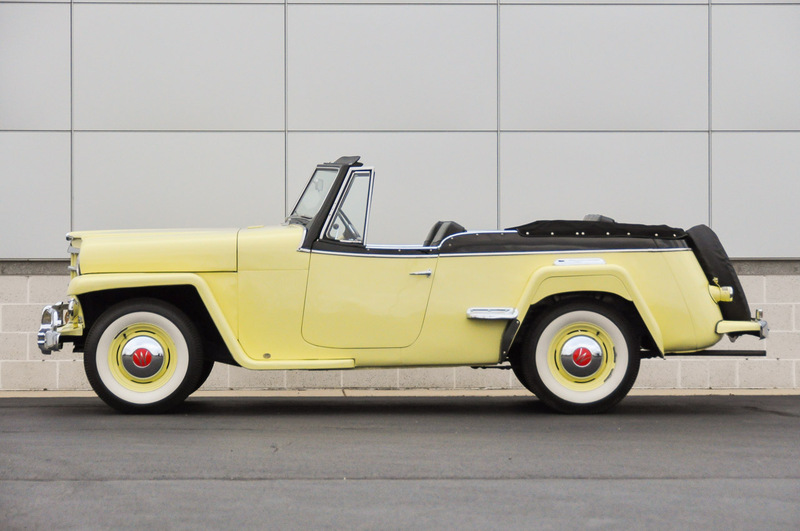 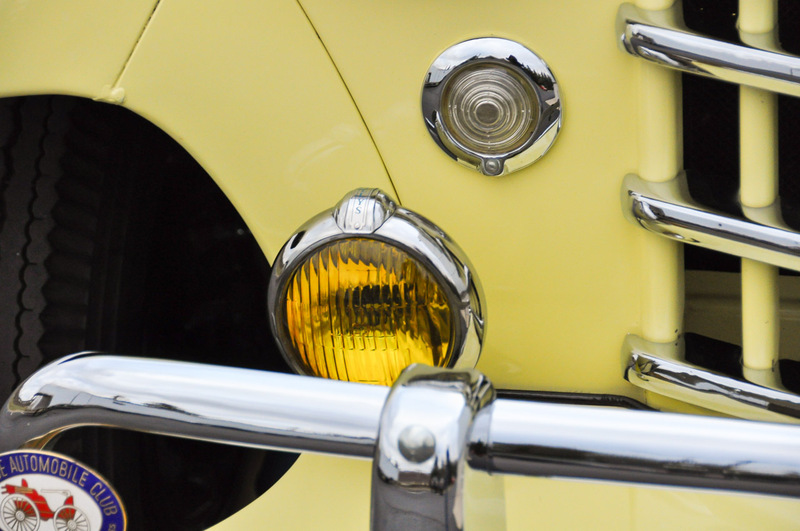 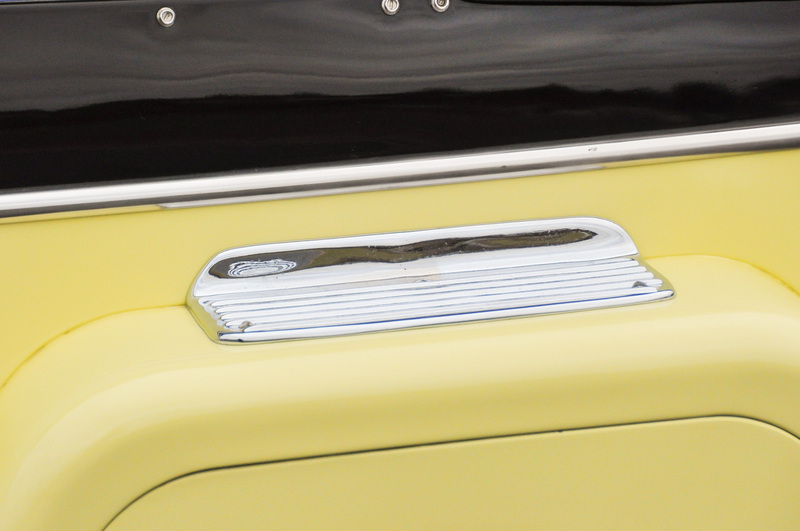 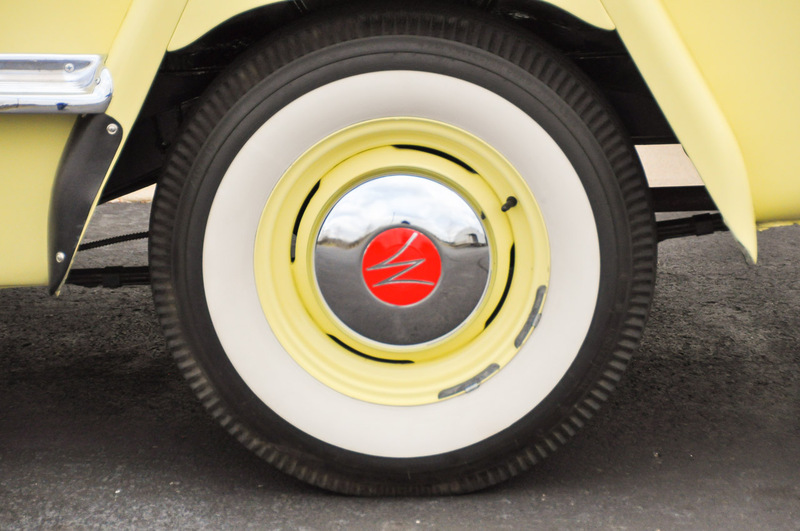 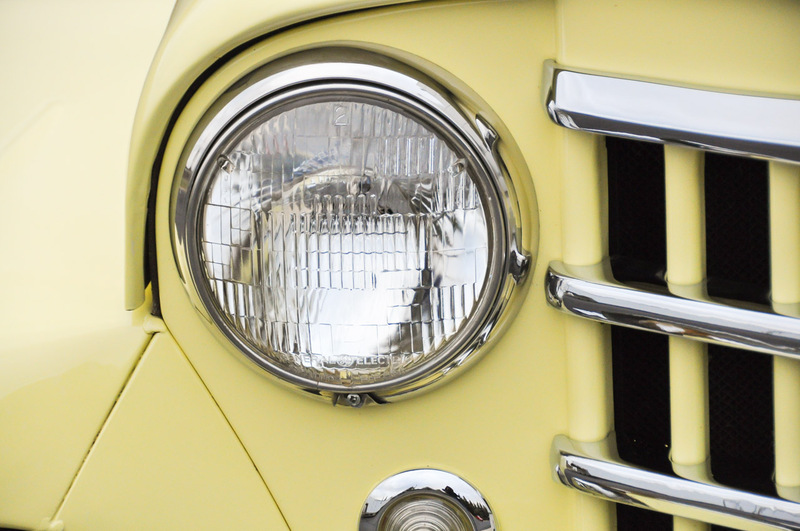 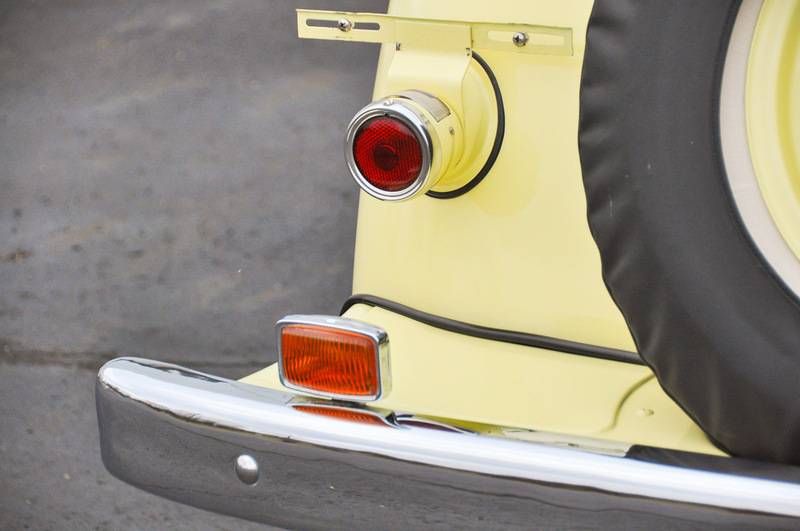 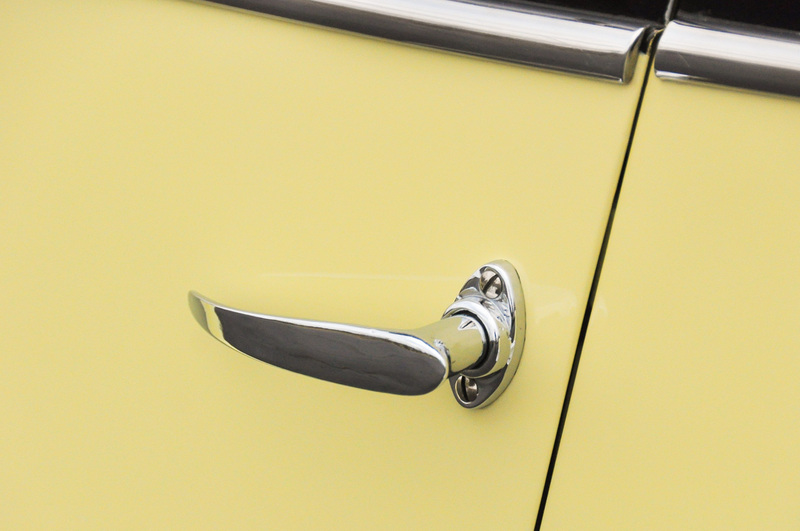 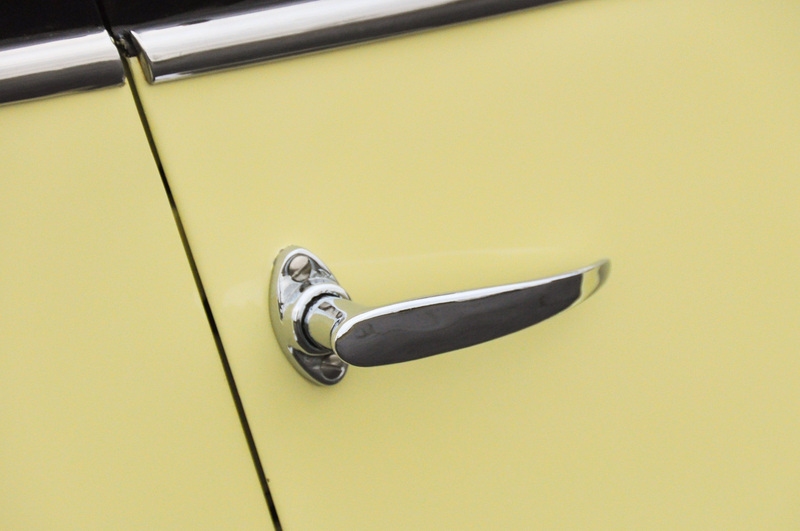 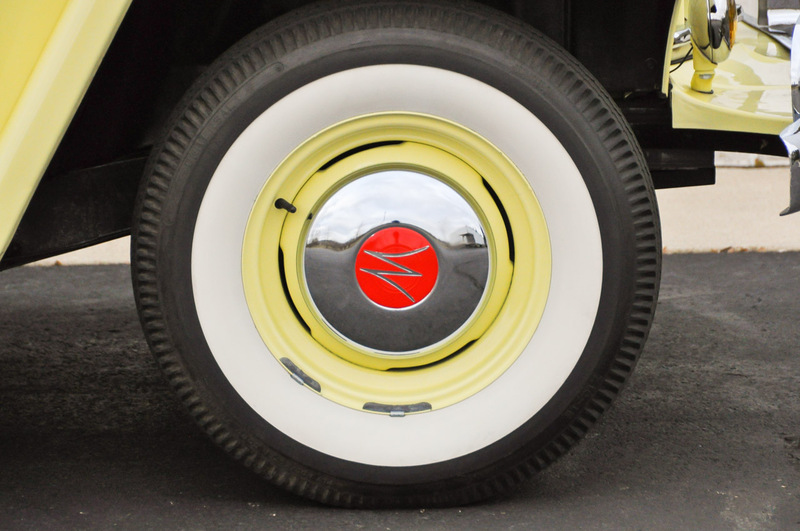 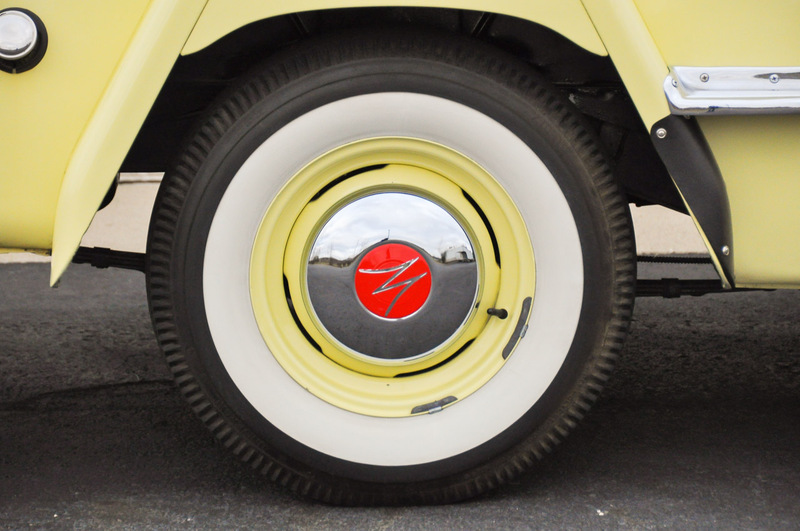 The Jeepster body was painted in a single-stage finish of Nassau Cream. 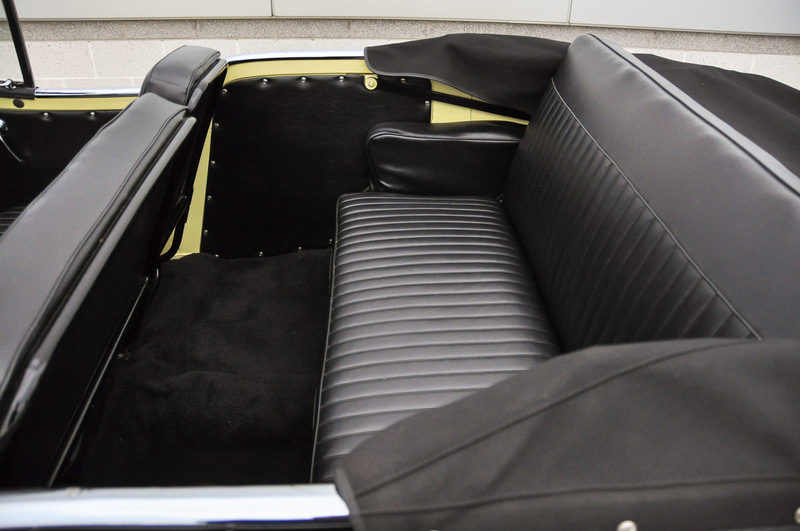 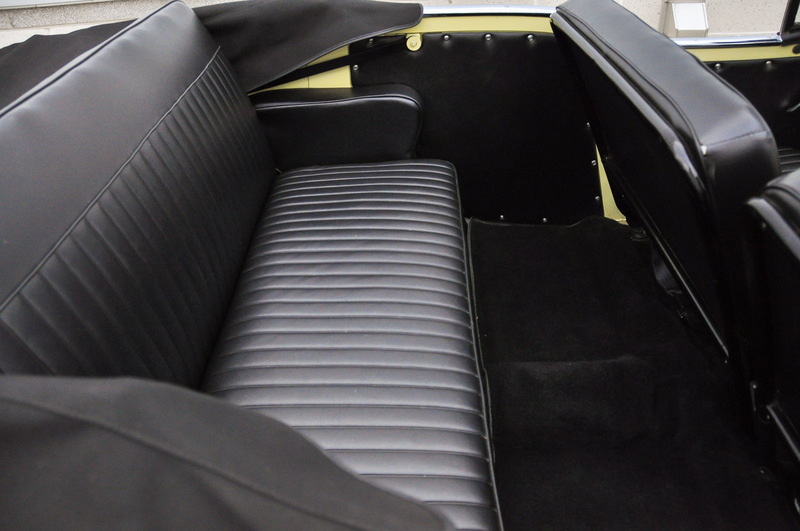 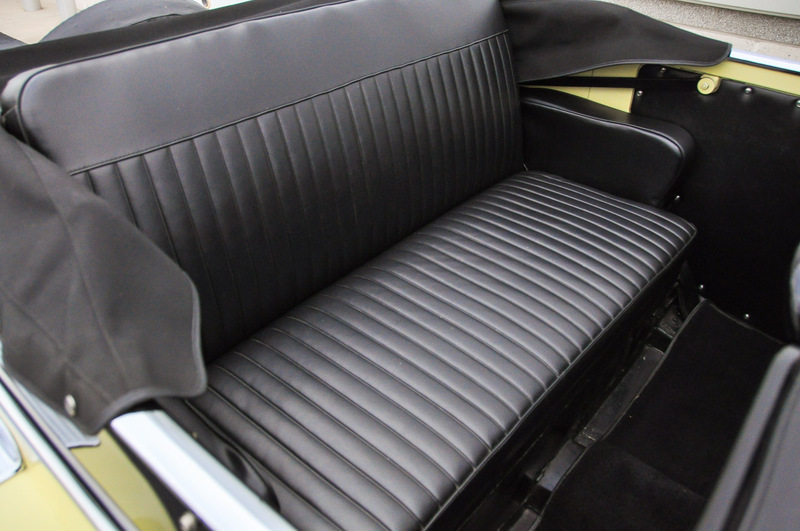 The interior and top were fully reupholstered. 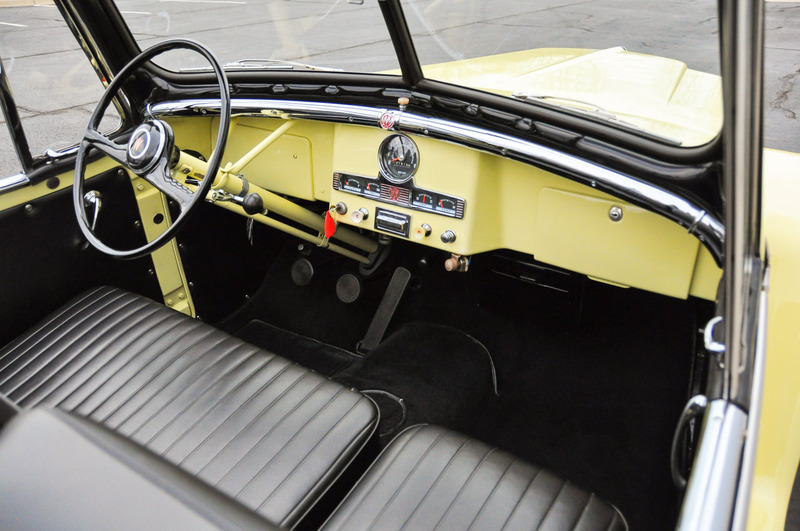 The windshield glass was updated to safety glass. 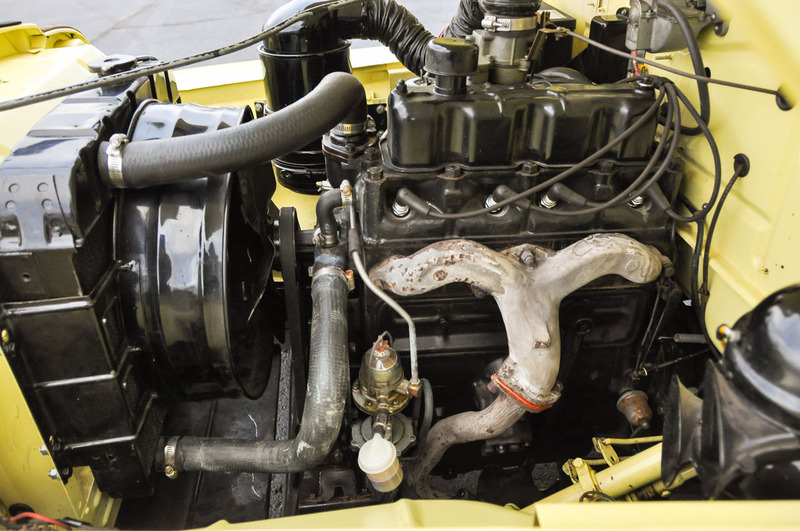 The engine was also rebuilt during restoration. 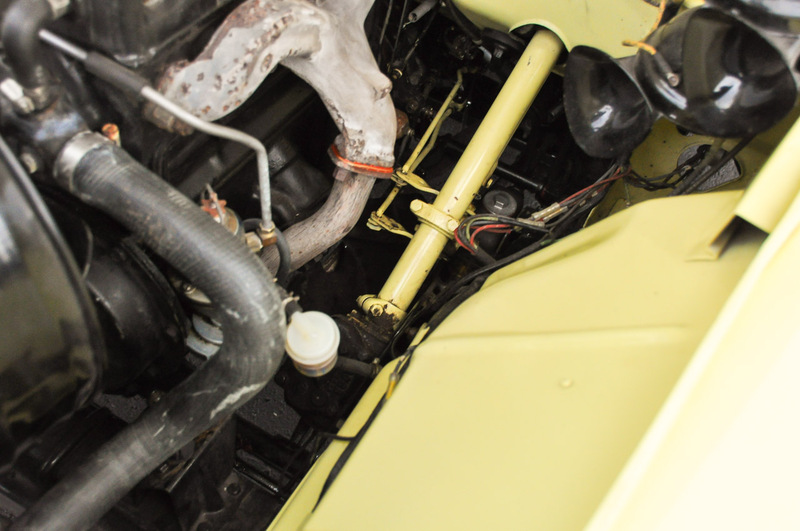 All engine internals including the camshaft were replaced and the crank was turned and polished. 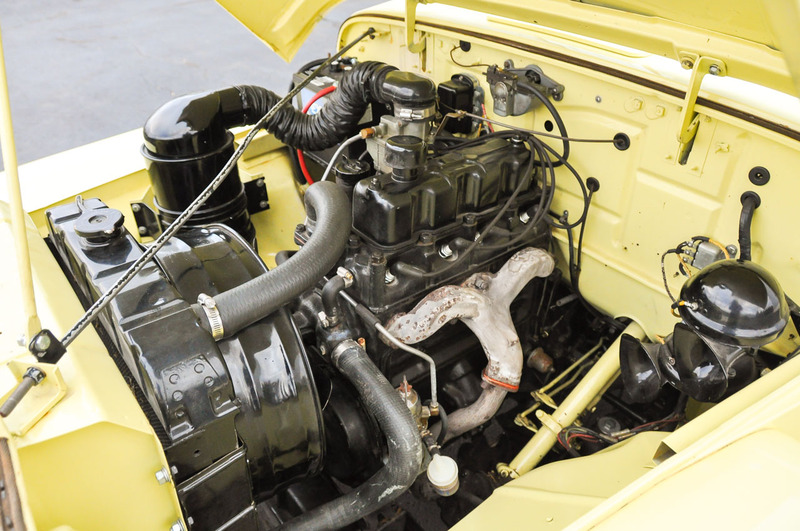 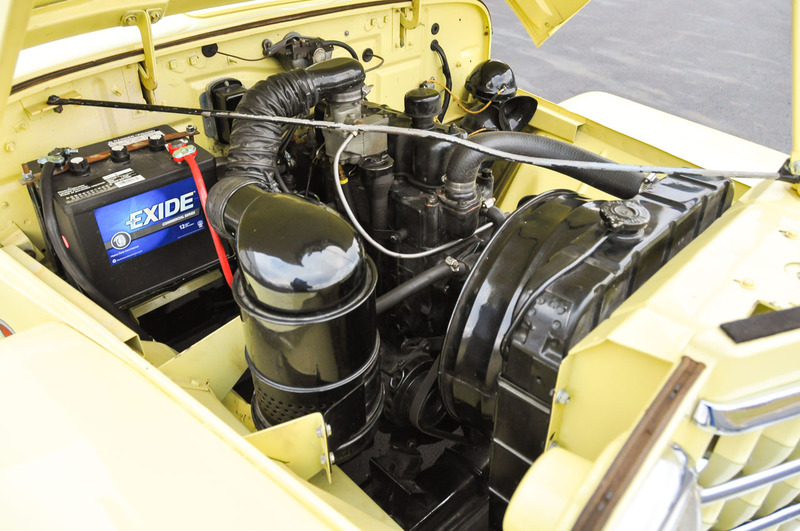 The engine was balanced and a new oil pump, fuel pump, water pump, and carburetor were installed. 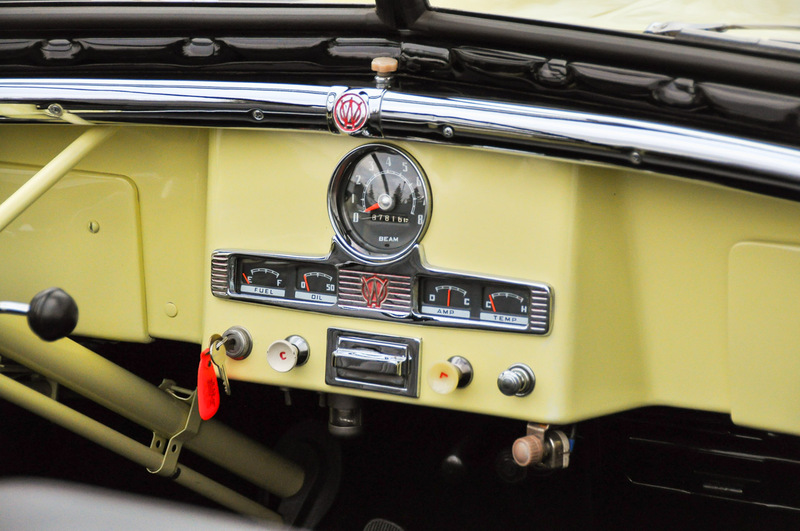 All of this work was done when the odometer showed 82,260 miles. 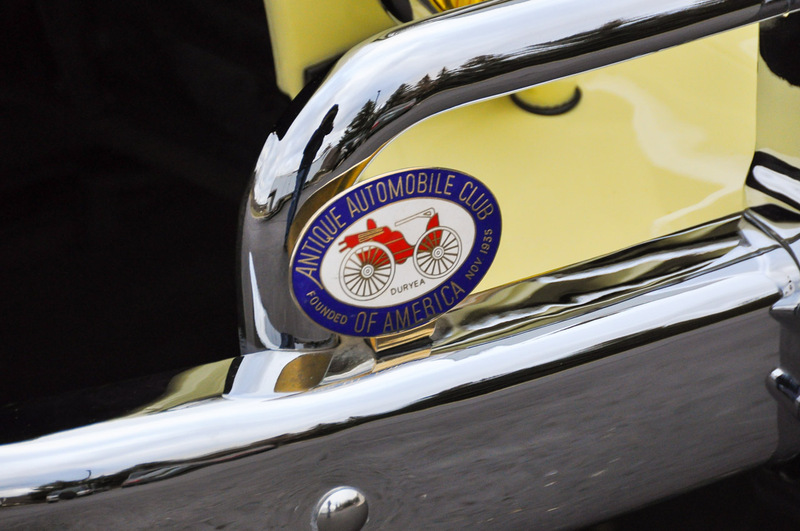 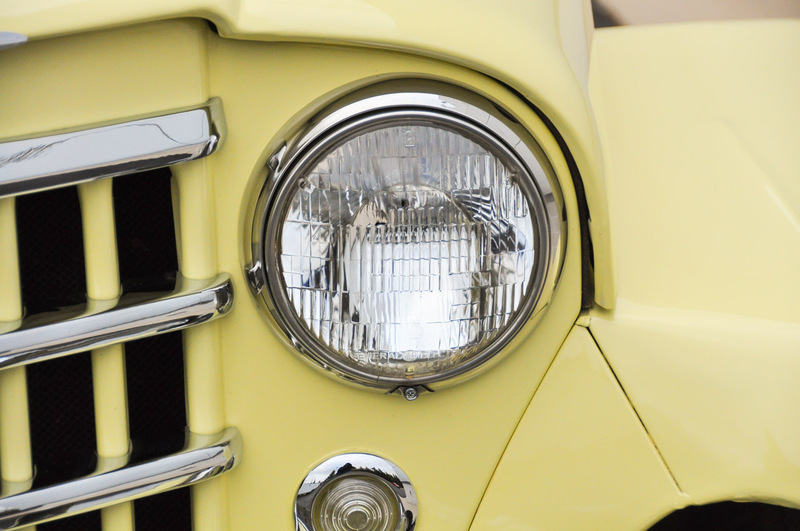 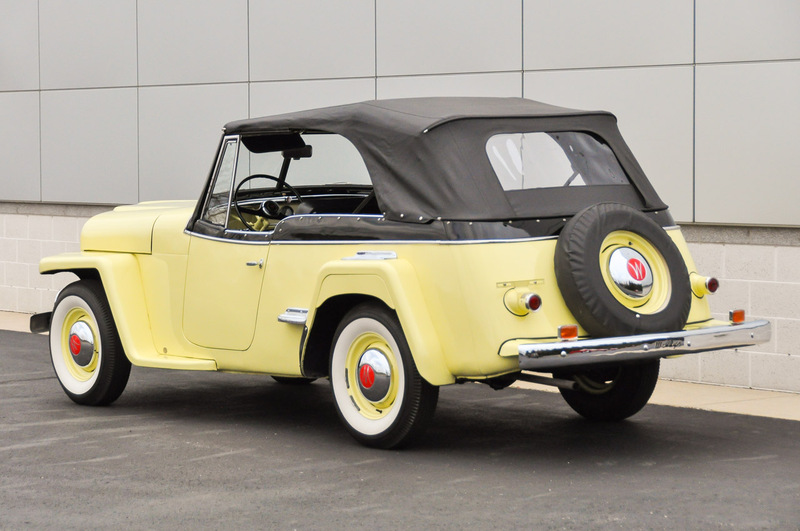 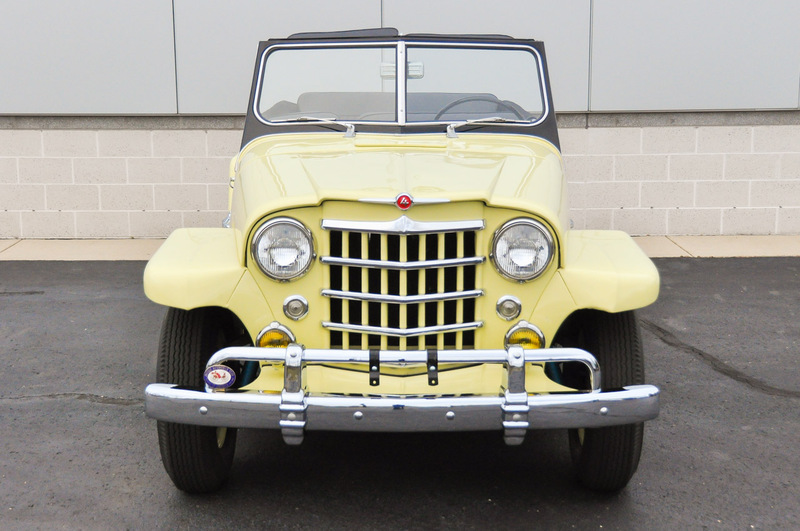 After restoration, the owner showed the Jeepster at the 1995 AACA meet in Hagerstown, Maryland. 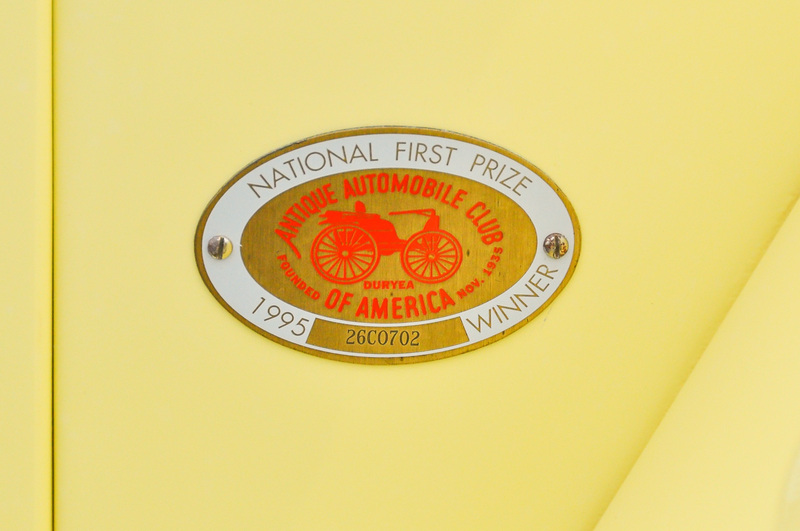 It won the 1st Place AACA Junior Award (still affixed to the car, with accompanying letter). 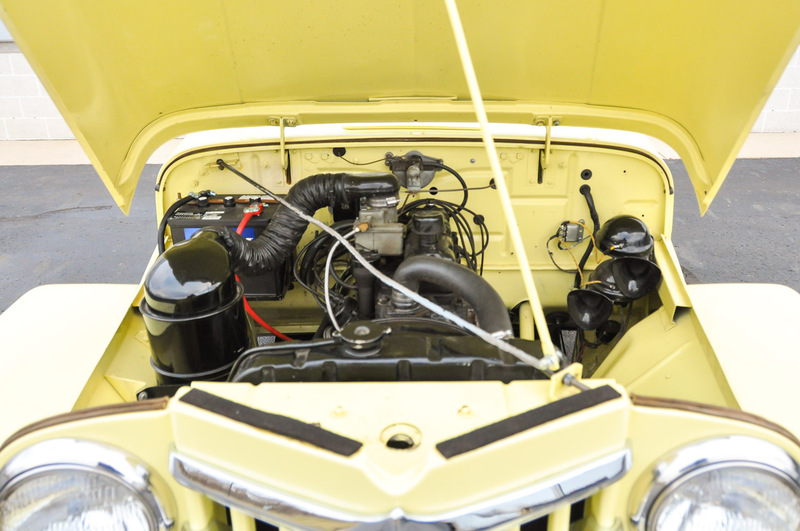 The owner then planned to show the car and compete for a senior award. 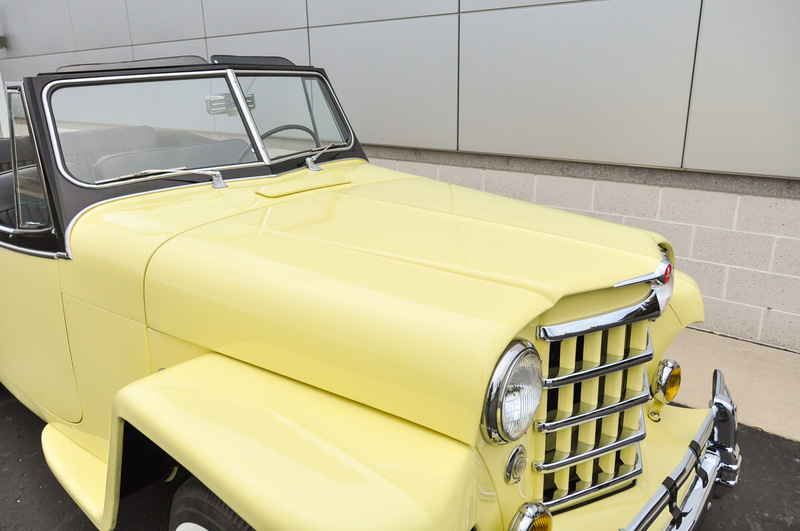 He continued to enjoy the car over 1739 miles of driving tours when the current owner, a long-time client of Fox Motorsports, saw the car in 1997, purchased it, and shipped it to Grand Rapids, Michigan. 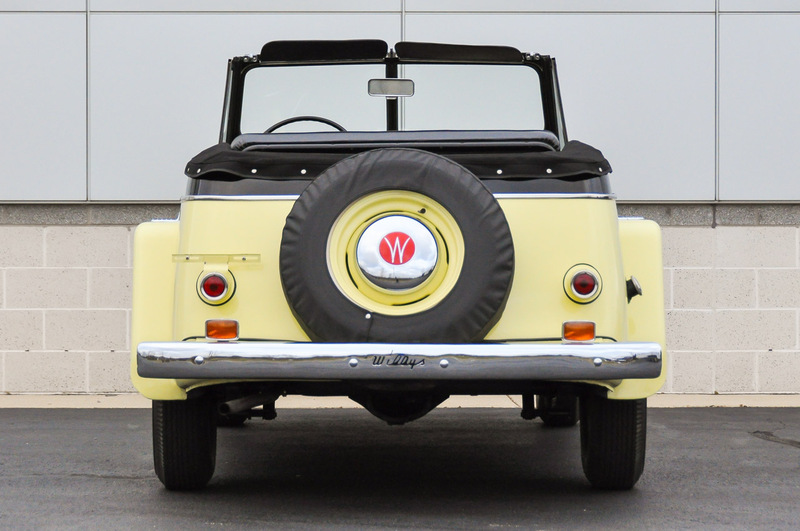 Over the past 20 years, that same client of Fox Motorsports has put an additional 3817 miles on the Jeepster, only in nice weather. 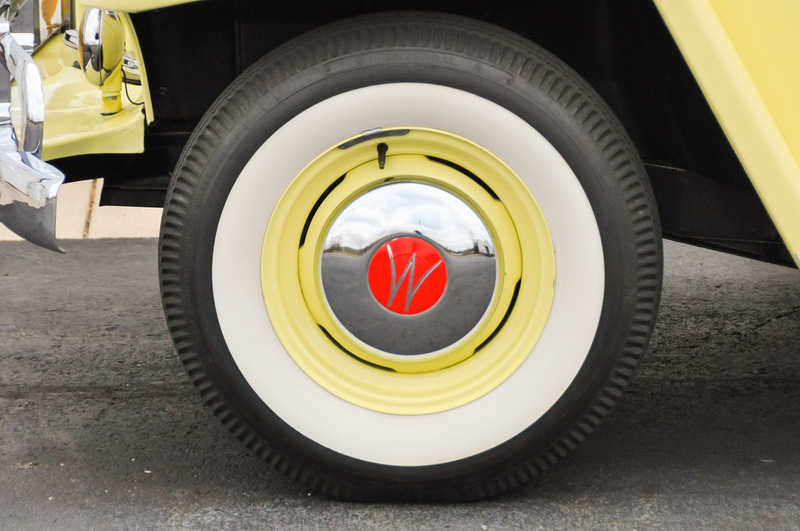 It has always been stored winters and has never seen snow or salt. 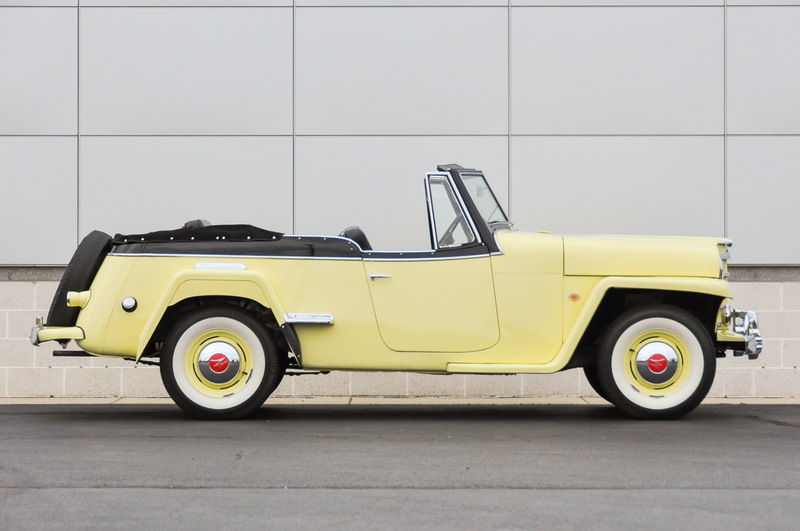 This Jeepster is in remarkable shape. 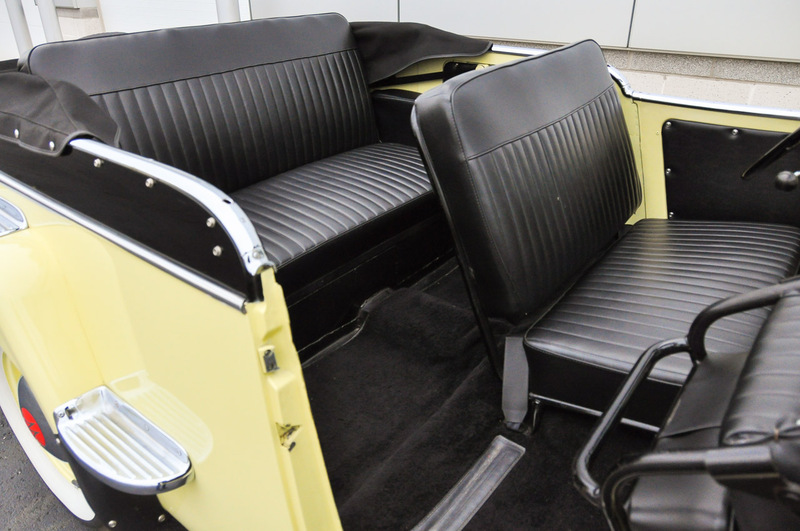 The top and side curtains are in excellent condition. 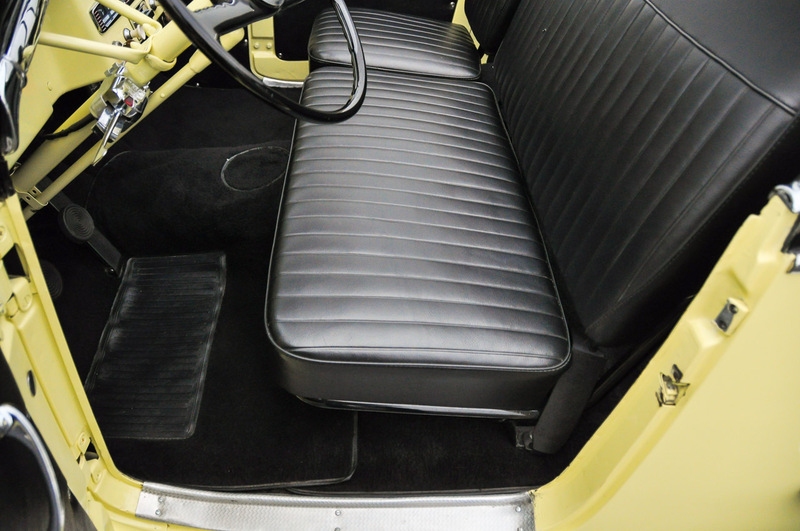 The interior is high-quality black vinyl, with matching carpet. 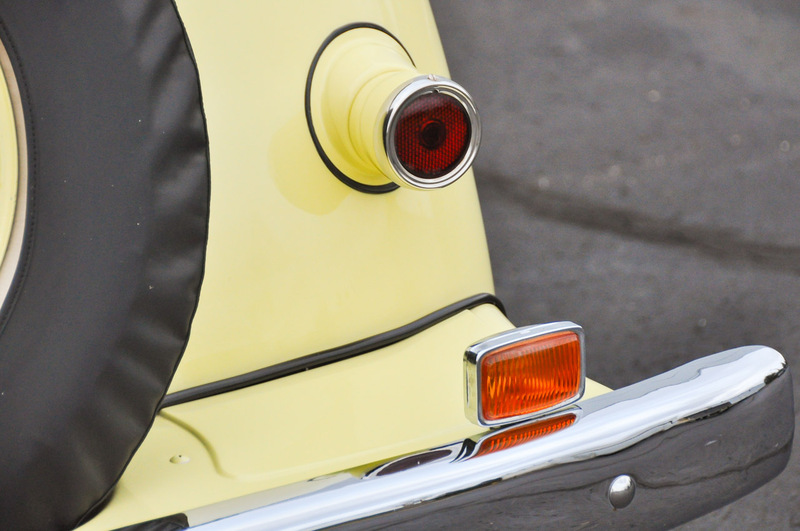 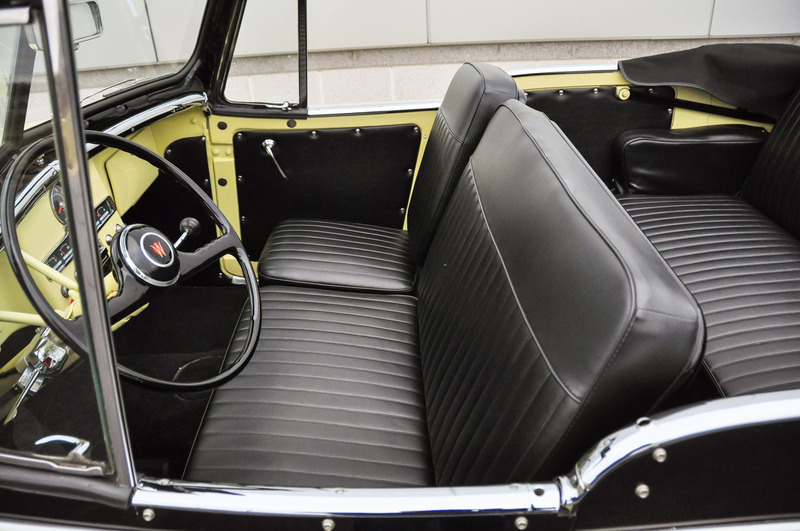 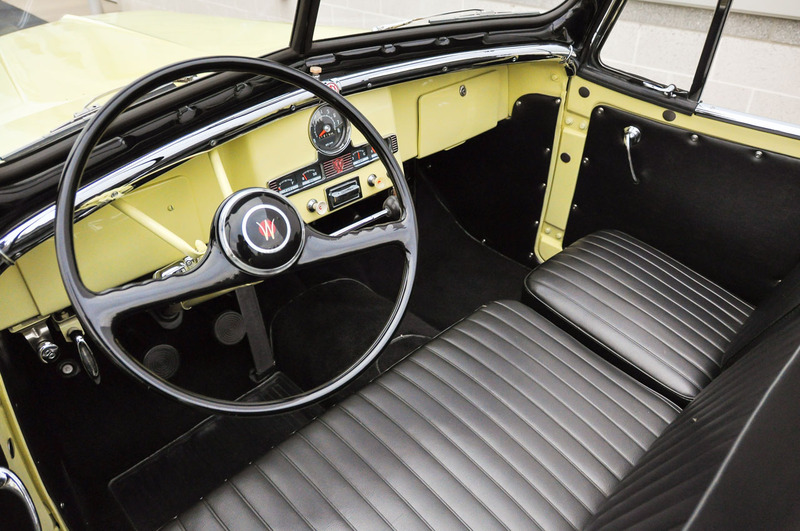 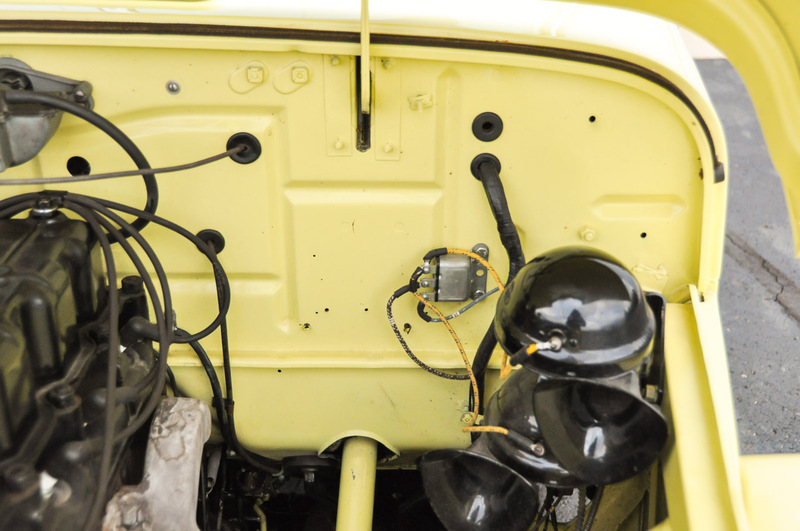 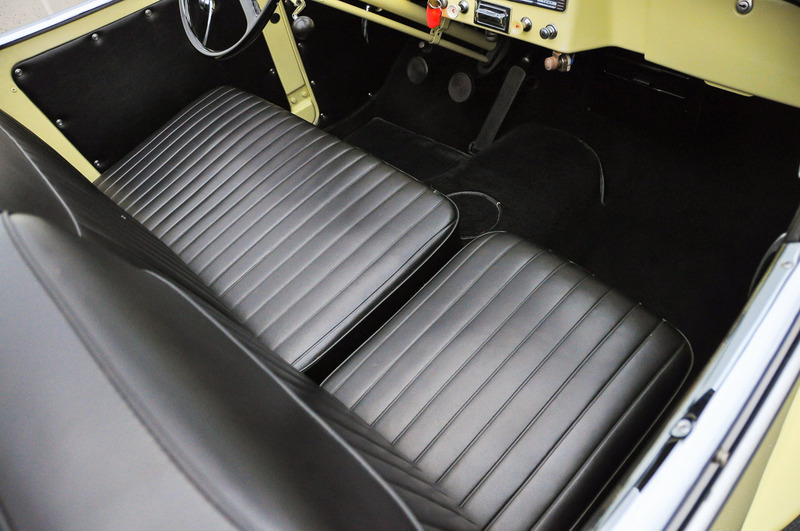 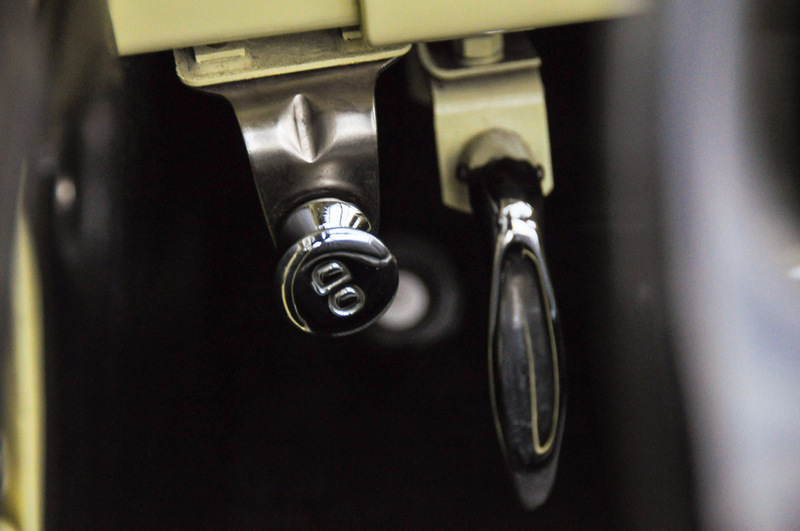 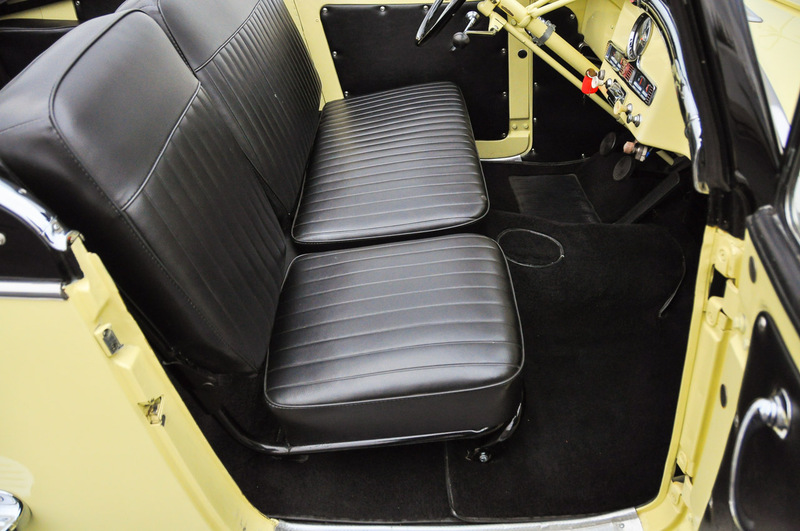 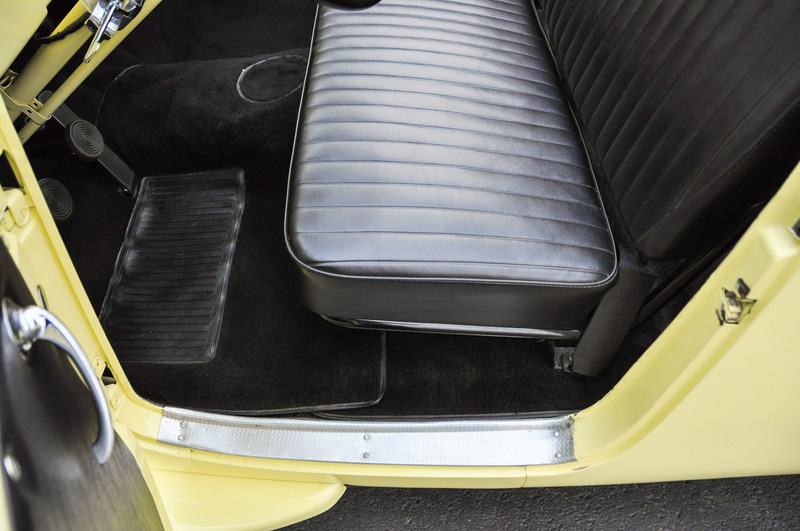 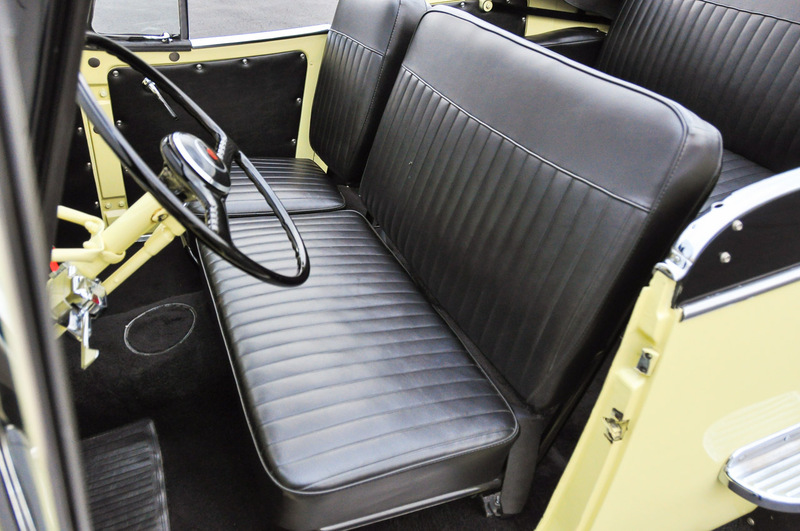 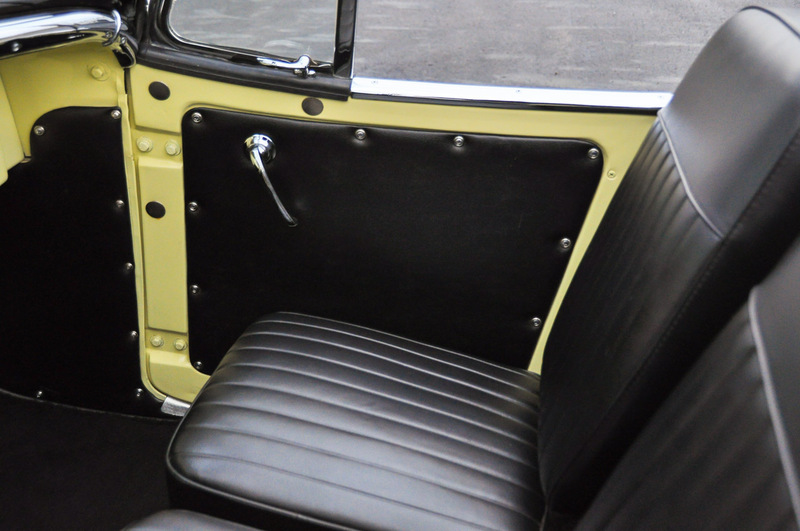 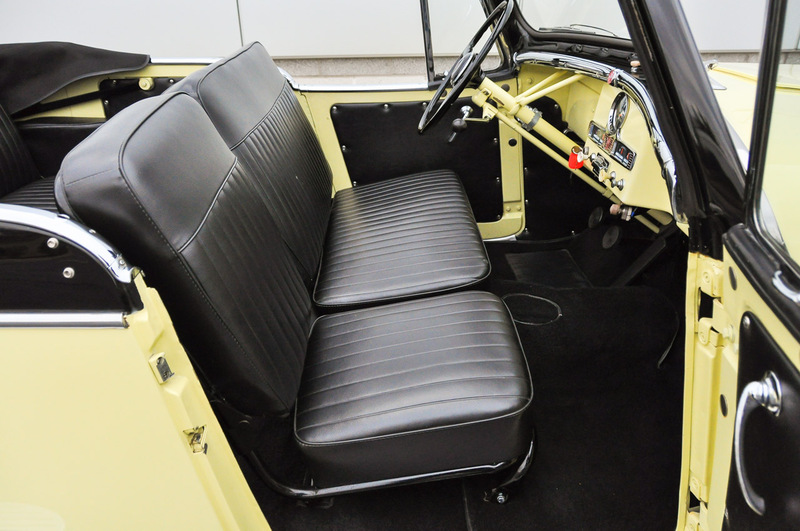 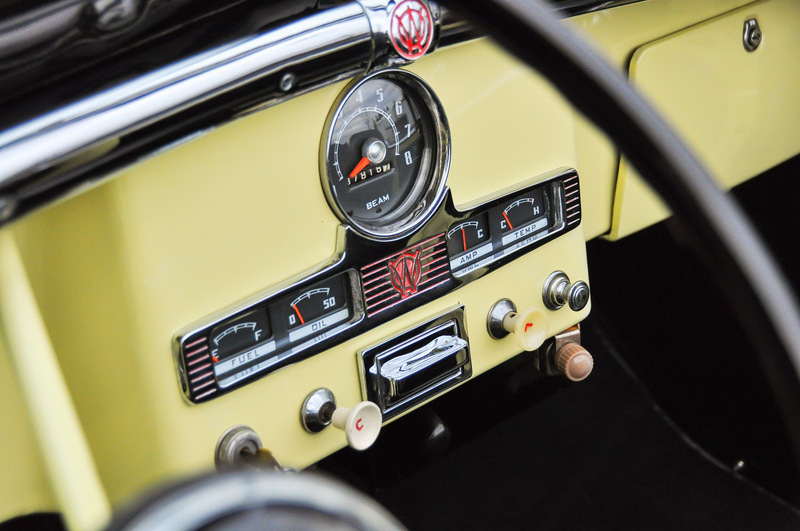 The interior chrome, gauges and switchgear are in excellent condition and all work. 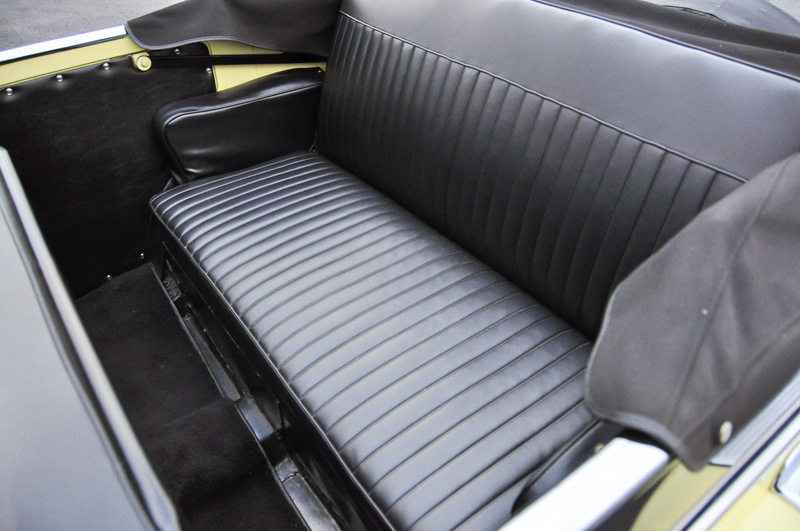 The seats are excellent, with one small (repaired) spot being the only blemish. 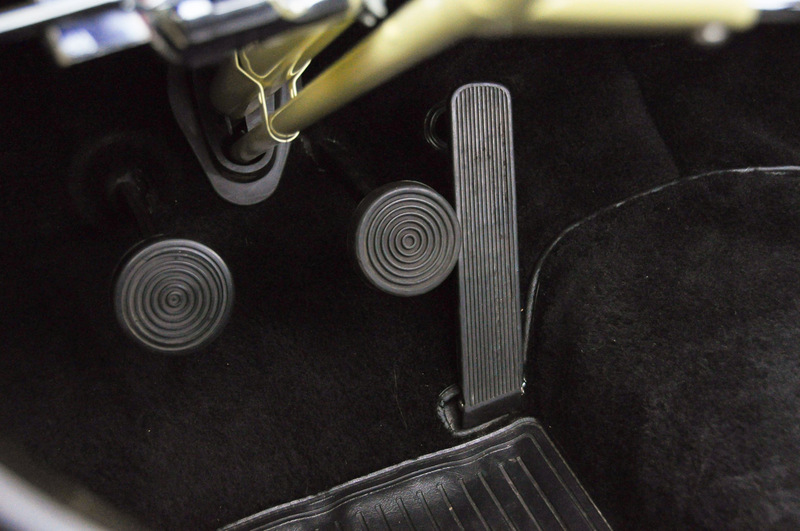 The carpet is also excellent. 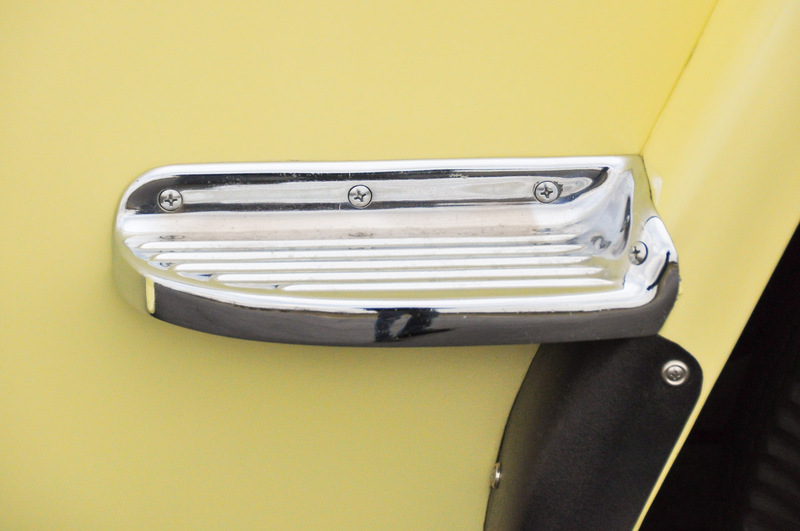 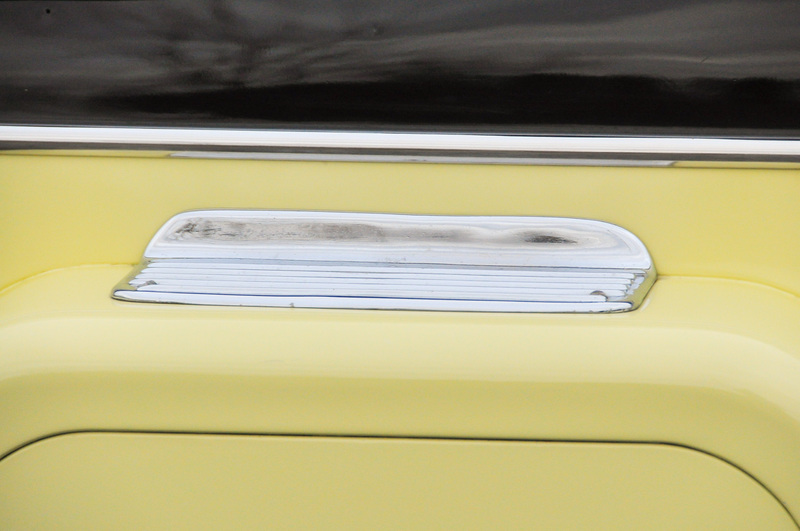 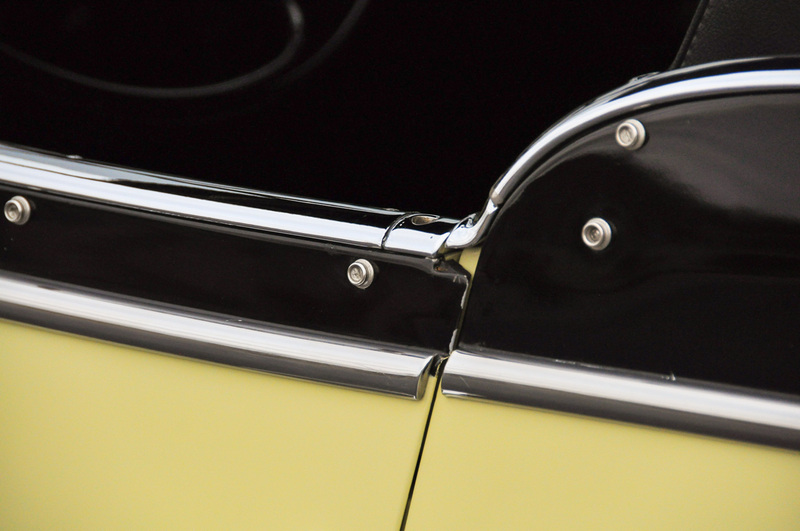 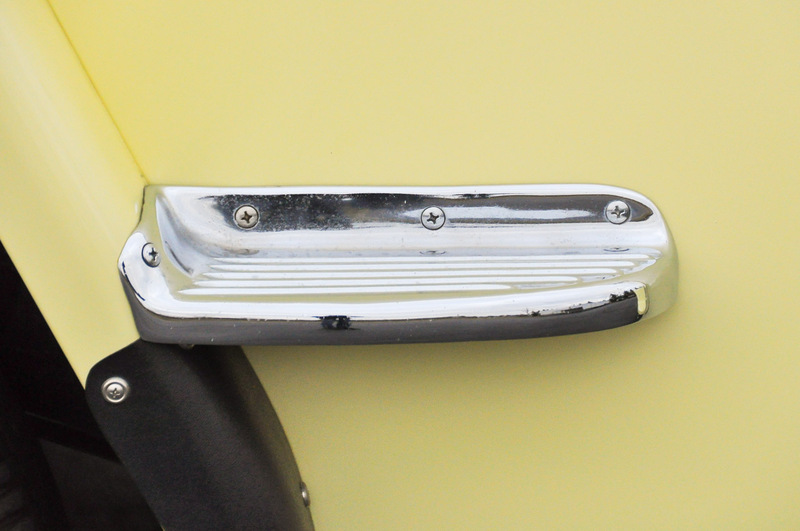 The painted black trim is in very good condition, as is the chrome that outlines it. 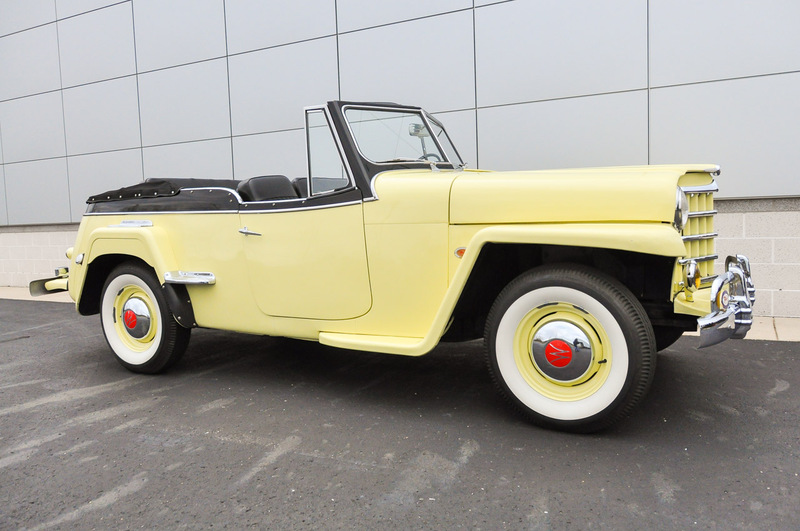 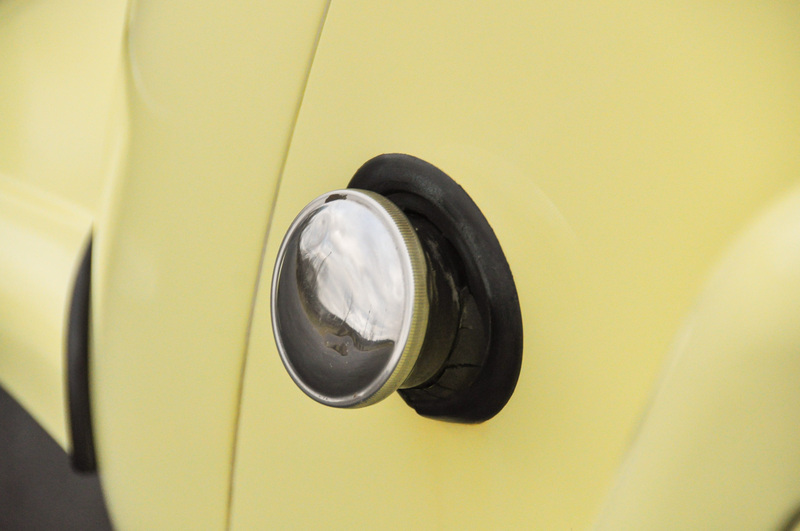 The Nassau Cream paint is in very good condition too, with only a couple of small stone chips on the nose of the Jeepster. 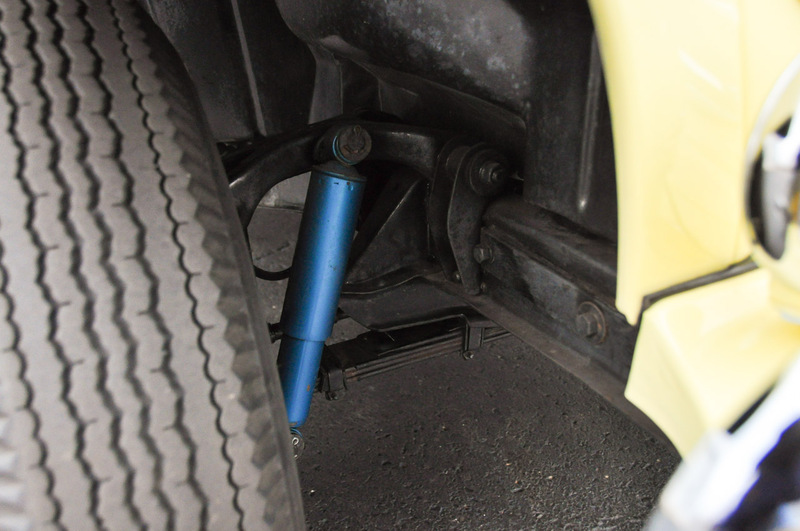 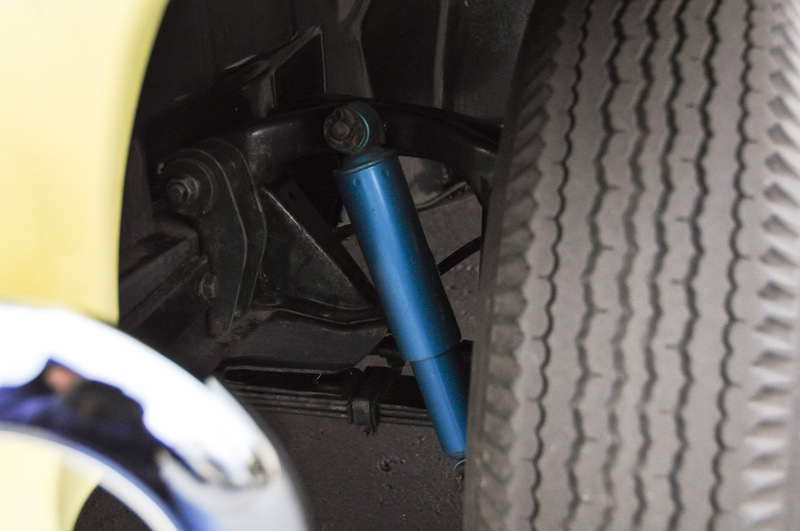 The body, chassis, and underbody are straight and rust-free. 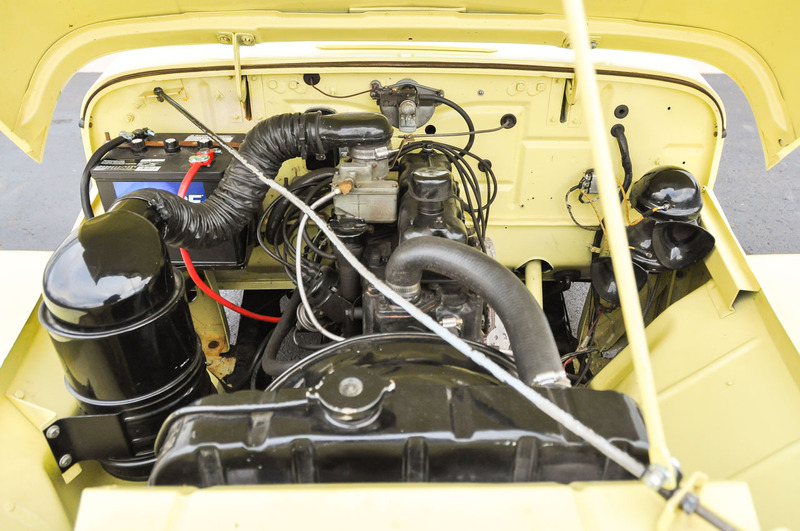 The engine starts right up with no issues. 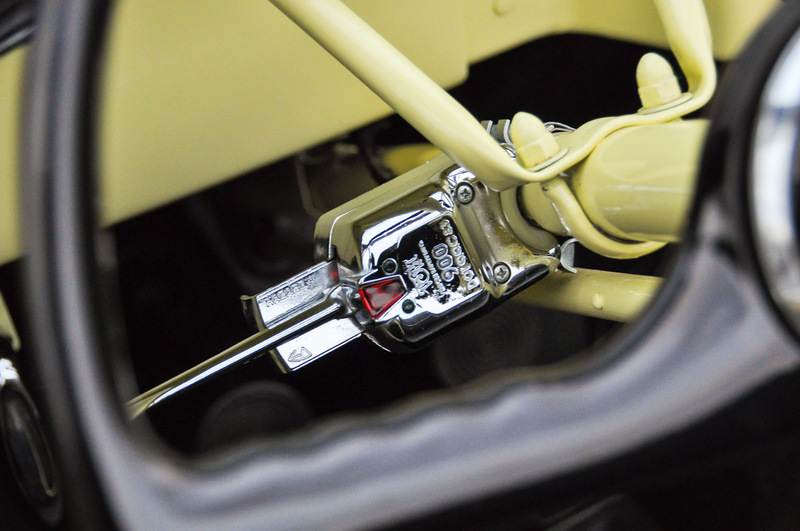 The optional overdrive has been fully serviced and functions properly.